The Philippines presents a somewhat unique case of program budgeting. The introduction of programs came after nearly a decade of challenges arising from performance-oriented budget reforms. Program budgeting was introduced in 2015 in part to address the accountability challenges of performance measures at the ministry level, but it was not fully implemented until 2018. 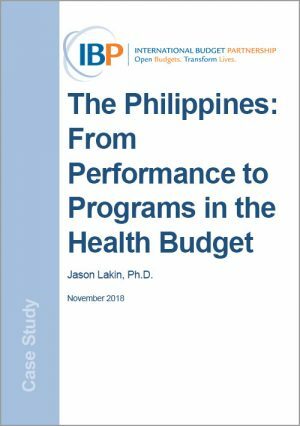 Though it is too early draw conclusions about how well program budgeting is working in the Philippines, this case study presents insights we can glean from the process used to set up program structures in the health budget.